Dire Straits’ first hit was Sultans of Swing, recorded in Basing Street studios, February 1978. But did you know that there was a different studio recording before (demo version, Pathway Studios, July 1977), and also a later recording (Pathway Studios, April 1978) that was recorded to be released as a single in some countries? This version was recorded on July 2, 1977, together with four other song (Wild West End, Down to the Waterline, Water of Love, and Sarcred Loving which was written by David Knopfler and was never released). 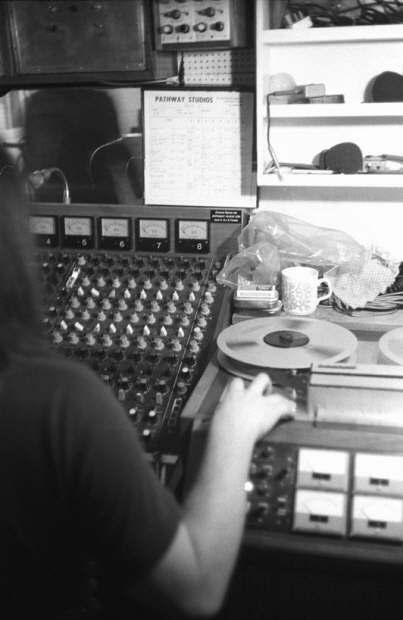 The band had just started a few weeks before, and after rehearsing these first original songs they decided to book a small studio – Pathway Studios – to produce a demo tape. The session cost them about 180 GBP. We all know what happened later: Radio DJ Charlie Gillet played these demo tapes in his Honky Tonk radio show, and the band finally got their record contract at the end of that year. 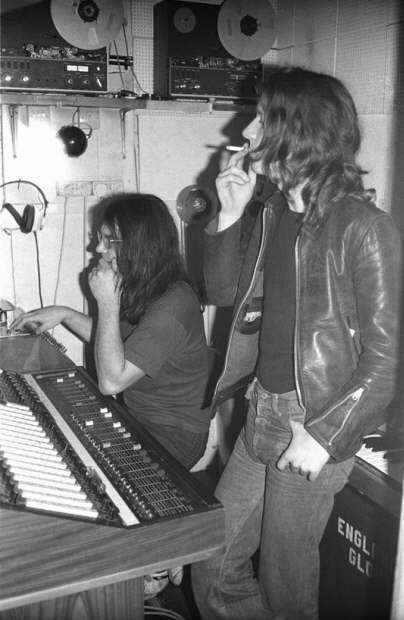 The following two pictures show Squeeze recording there in 1976. This Sultans of Swing version (and only this song) was later released on a compilation album called the Honky Tonk demos by Oval records (see below for sound clip). After the recording of the first Dire Straits album at Basing Street Studios (February 13 – March 5, 1978), the results were played to Phonogram’s marketing people. Some of them thought that Sultans of Swing was too polished and smooth sounding for a single that is accepted by the radio, so they re-recorded this song on April 20 / 26, 1978, again at Pathway Studios. This single was released in some countries, among them England and Germany, while in others the album version was released (e.g. in the Netherlands or the US). In some countries, e.g. the former Yugoslavia, one verse (#5, “And a crowd of young boys…”) was cut off to decrease the overall length which – with almost 6 minutes – was rather long for the radio. This version features more distortion and compression, it indeed sounds more like rock music. It even appears to be a bit faster although it is practically not. It seems it was never released on CD (see below for sound clip). 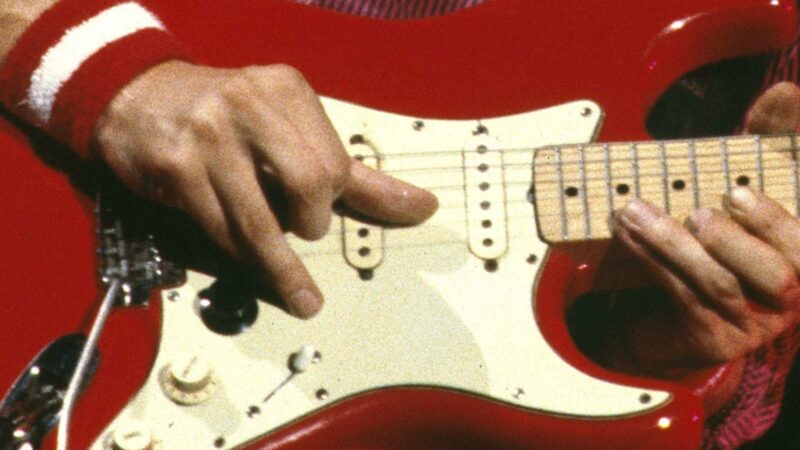 On the demo version Mark Knopfler played most likely his 1961 Stratocaster (S-No #68354) , at this time he only had one Strat. It was probably not painted red yet but had a wood finish. The pick-up position seems to be the middle pick-up. The sound engineer at Pathway – Chas Herington – was later the lighting designer on the Brothers in Arms tour in the mid 80ies. It was 1985 in Arnhem, Netherlands, when I spoke with him and asked him about the equipment on these sessions. He told me that Mark played an old Fender Vibrolux amp which was recorded with a Neumann microphone. He also stated that Mark’s typical sound came out of the amp this way, and was not created with outboard effects and processing. I assume that on the single version Mark Knopfler played his maple-neck Strat (S-No. #80470), also through the Vibrolux. This time there is a subtle distortion, possibly also compression (remember the rumour about the Dan Armstrong Orange Squeezer). The pick-up position seems to be bridge & middle to achieve that nasal sound. Here are sound clips with excerpts from both versions. Note that Mark also plays one of the two rhythm guitars on both tracks. Yes, and it always seems strange to me to think of Mark with a natural wood finish strat. As Danny said recently, when we think of Mark with a guitar we always get at least a red Strat (even if it is Schecter), but thinking of him with a guitar that looks like Ritchie Blackmore`s one (even if Blackmore`s one was a 70`s model with large headstock), it has a kind of surrealistic icon ! 4) About the pick-up position, I always wonder : which pickup is used on the album version ? Sometimes it sounds like middle, and sometimes like middle+bridge. What makes me think that is, that on the single version, he introduce for the first time the few bars at the end of the outro, just before the final arpeggios (they didn`t exist the day before, on chester gig,the date of recording the single came from diary on neck & neck). Anecdote : on the recent Hurlingham Club princes trust gig, he explains how cames the ideas of the last solo to his mind, and he don`t play this few bars added on 20/04/78, he plays it like on the album version: the “descending scale” and then directly the arpeggios. I have been looking for the demo version of the sultans for a very long time. It was a pleasure to hear it through your site. Is there a way, to get a hold of it? The discussion about the pick up(s)used on the album version is quite interesting. What about jacking up the middle pick up and lowering down the neck pick up? Just use a screwdriver and you can get some amazing results. Of course, the same thing can be done with the other pick ups. Hi Terry, the words “thank you” there are on both the single and the demo version, so can’t tell. The single version was also released in the Netherlands. Bought it myself in 1978. Anybody know the source of the Name Check for “Guitar George” who “knows All The Chords” ?